This was a custom figurine request from the recently holiday bazaar at my work. 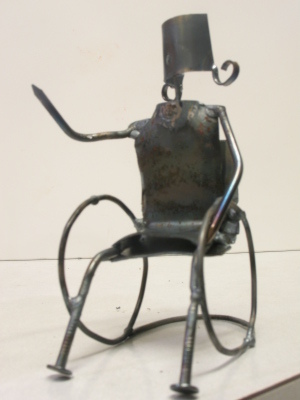 I've made a few figurines in wheelchairs in the past, but this is the first girl one. There's a story associated with this one. Long story short, making airline reservations for your boss is only fun when you request that the airline meet your boss with a wheelchair at every gate.